Interestingly, looking at Geekbench results, Xiaomi's new tablet seems to perform a bit worse than its predecessor. 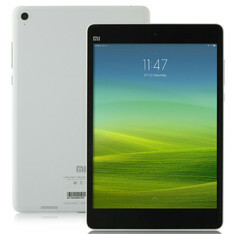 Xiaomi launched its first tablet back in Spring 2014 and has not released the successor to it so far. Now, after several weeks of the rumor mill churning, the Xiaomi Mi Pad 2 has finally been spotted on Geekbench, revealing some of the specifications. The Mi Pad 2 is expected to launch with both Windows and Android operating systems. However, the Geekbench listing only shows the slate running Google's OS (5.1 Lollipop). The device is powered by Intel's x5-Z8500 quad-core Atom processor, running at 2.24 GHz and supported by 2 GB of RAM. Since the Mi Pad 2 is supposed to be a budget-friendly tablet, it will most likely launch with 16 GB of internal storage space. What's interesting is that the new Xiaomi's tablet seems to perform a bit worse than its predecessor. Scoring 985 points on single-core and 3268 on multi-core, the Mi Pad 2 falls behind the Mi Pad with Nvidia Tegra K1 on board, which had scored 1113 and 3481 points, respectively. There is no specific information about the possible launch date for Xiaomi's new tablet, but it's quite probable it will be officially announced on, or around December 3rd, when the company's Mi5 smartphone is expected to be launched.